Aah… aah… aah… Waiting for the choo? It’s a horribly annoying feeling to feel a sneeze coming up, but not actually showing up. Some people would advise you to look at bright light. That’s because they’re not doctors. Or aspiring doctors (like us). Or maybe they just don’t know. Autosomal Dominant Compelling Helio-Opthalmic Outbursts Syndrome. Say it. Say it once. Say it twice. Say it backwards. Say it faster. Say it again. Hard? Right. That’s why doctors shorten it to ACHOO Syndrome, (Or maybe they just had a humorous moment.) better known as photoptarmosis, or photic-sneeze reflex. This is a condition when people sneeze when they are exposed to bright light, especially after being in the dark first. Here goes a question: Is this the reason why we say achoo when we sneeze? Or is this because we say achoo when we sneeze? The term was actually altered to the ACHOO acronym in 1978 by W.R. Collie. He created it with the acronym ACHOO ready in mind, and used words which describe the characteristics of the photic-sneeze reflex. A- Autosomal Dominant. This means that if one parent has the condition, their children have a fifty percent chance of inheriting it. In other words, one gene is enough to pass it on. C- Compelling. This is not so accurate because not everyone is compelled to it. Some people can resist until they deliberately look straight into bright light. H- Helio. Helio is the Greek word for sun. O- Ophthalmic. This means eye. There was an English philosopher Francis Bacon who proved that one has to see the light in order to trigger the reflex. When he only faced the sun with his eyes closed he did not sneeze. O- Outburst. What is a sneeze if not an outburst? This leaves yet another question. Why achoo? Babies don’t ‘achoo,’ they sneeze. Neither do the deaf people make that sound. Now sneeze. Do it. Don’t cringe, DO IT. Ah…! Feels good? Again, but this time try making different sounds. Can you say your name? Experiment with other items and words. Be careful! Sometimes when you close your mouth, your palate may hurt from the build-up of pressure. 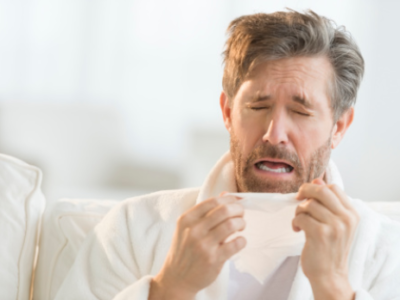 Is it really only possible to say the actual ‘achoo?’ No, no it isn’t. Different cultures make different sounds when they sneeze. Sure they may have something similar to the ‘achoo’ but that’s just basic logic. 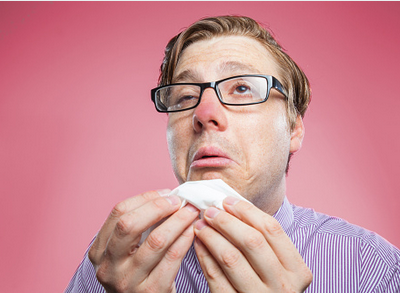 A sneeze is the effort of the body to eliminate irritation from the nasal cavity. To do this, you first take a quick deep inhale causing the ‘ah.’ Then when the air reaches the nostrils, the pressure will produce a ‘ch’ like sound. And the ‘oo’ is just the air being expelled from the lungs via the nose or mouth. So basically any short word can be said if you alter it a bit and allow a kind of ‘ch’ somewhere in the middle. Achoo really is an evolutionized word like saying ow when hurting.